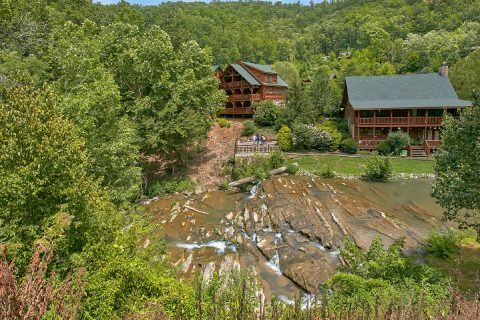 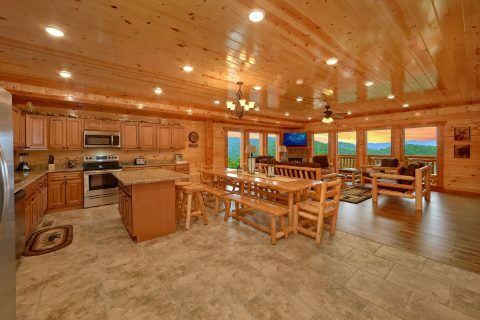 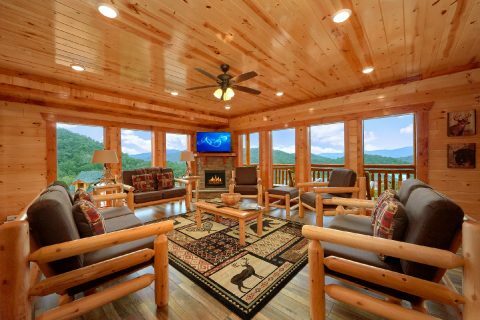 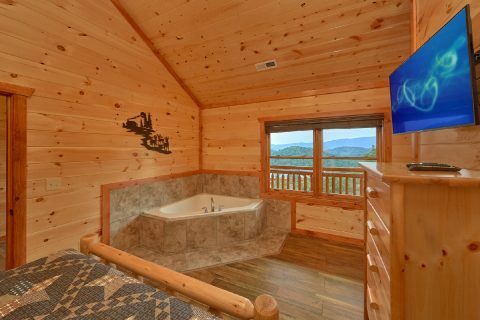 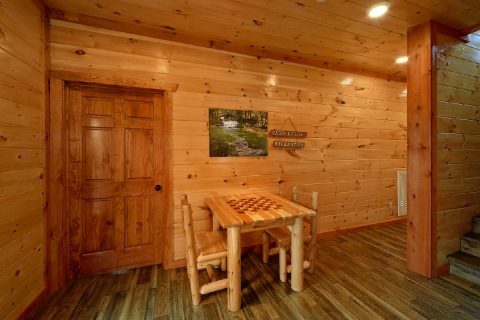 "Majestic Splash" is a beautiful 6-bedroom cabin in the Smoky Mountain Ridge Resort area that sleeps up to 17 guests in comfort! 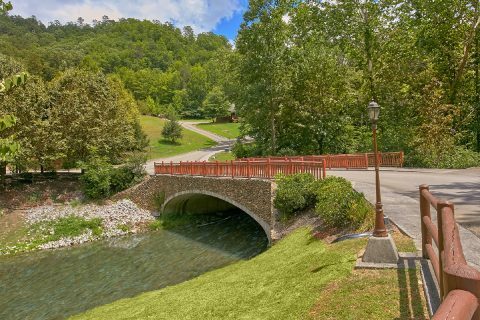 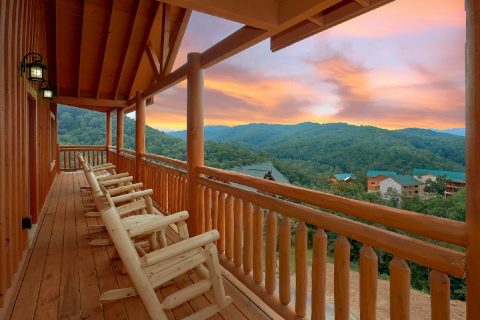 With a prime location that's close to Pigeon Forge and the Great Smoky Mountains National Park, this cabin is ideal for guests who want to explore attractions like Dollywood and beautiful natural sights like Cades Cove. 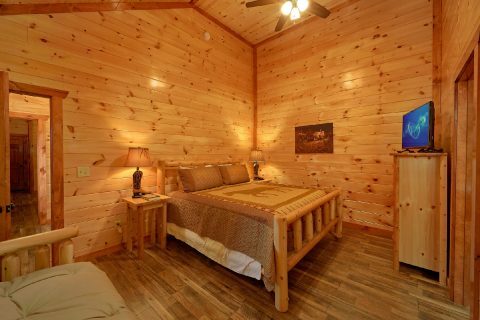 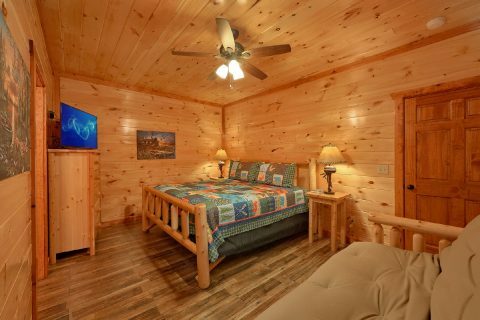 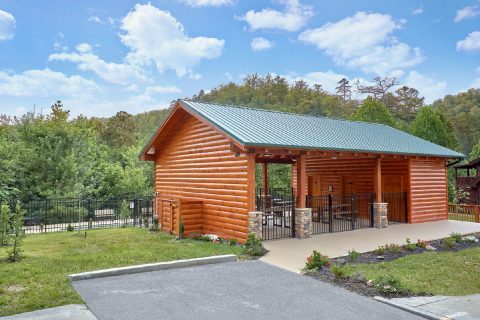 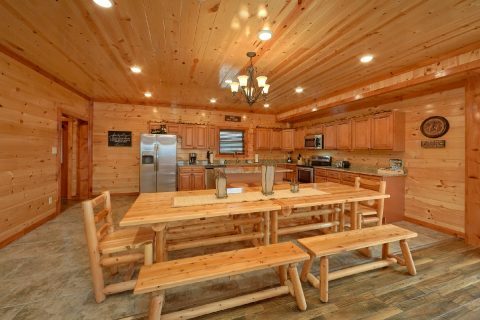 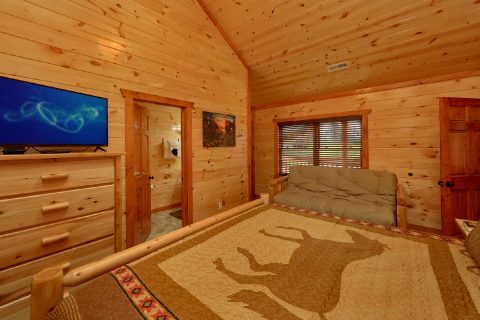 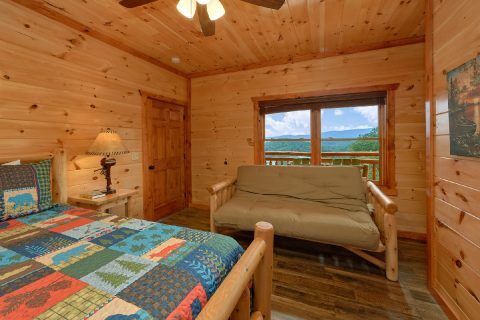 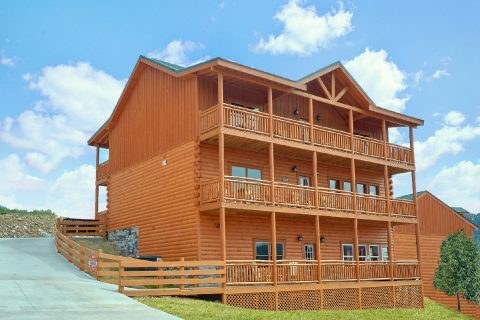 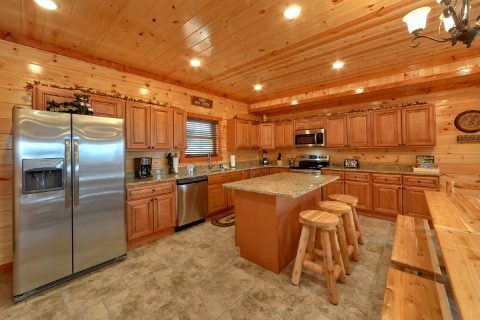 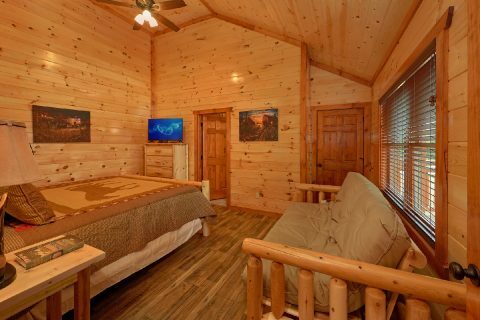 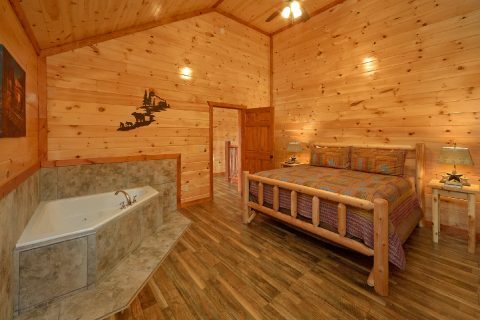 When you aren't busy enjoying the best that the Smokies have to offer, you can look forward to unwinding at this comfortable cabin that keeps you only 5 miles away from the sights and attractions in Pigeon Forge! 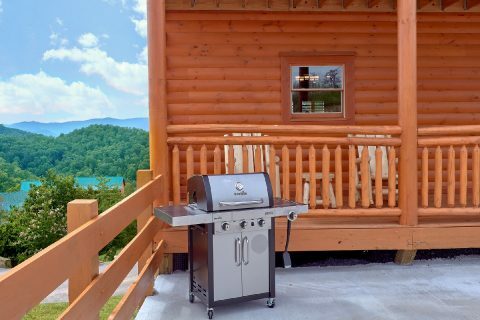 The main level of these rental features a comfortable living room area, a deck, and a full kitchen for making delicious meals during your getaway. 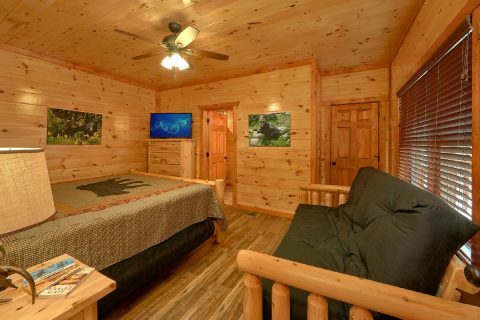 On the lower level of your cabin, you'll find your rental's private indoor swimming pool that allows you to swim any time of year! 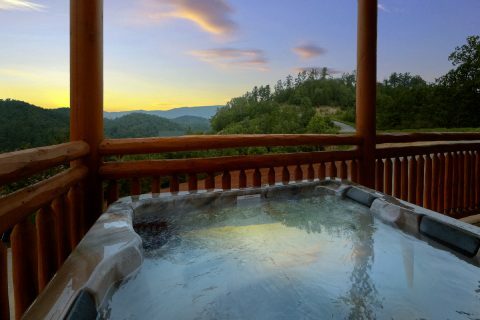 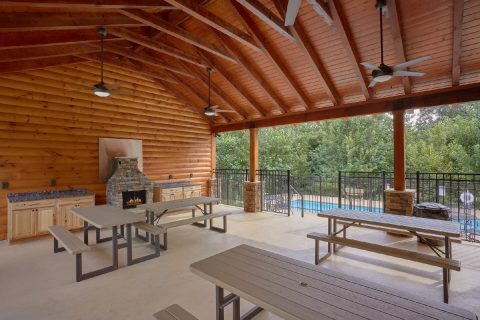 Out on the deck, you'll also find a hot tub for enjoying a relaxing soak in the great outdoors. 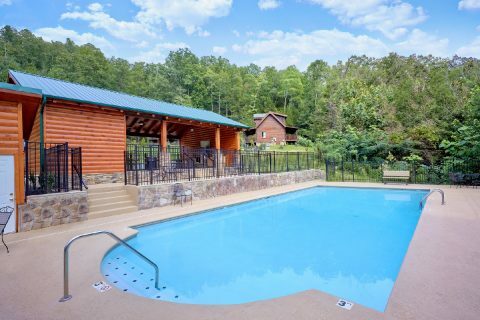 Additionally, this cabin provides you with access to an outdoor resort swimming pool during the summer season. 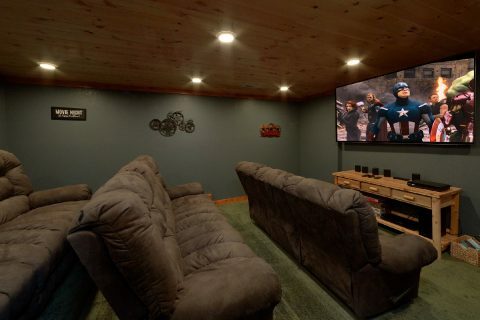 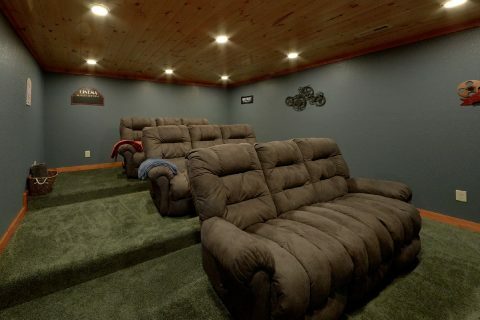 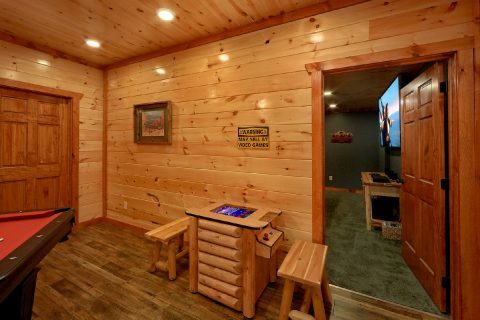 Additionally, this floor is home to a theater room with an 85" television and a game room that comes complete with a pool table and a multi-cade arcade game. 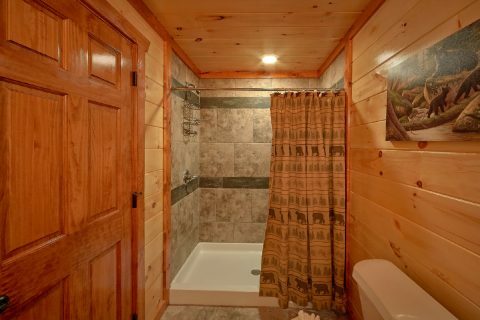 Lastly, this floor features a laundry room. 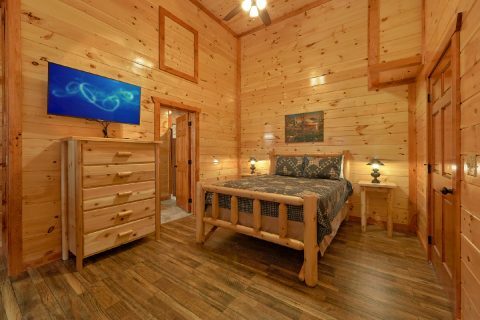 Once it's time to get some rest before your next day of vacation in the mountains, you can look forward to sleeping in one of this cabin's 6 bedrooms. 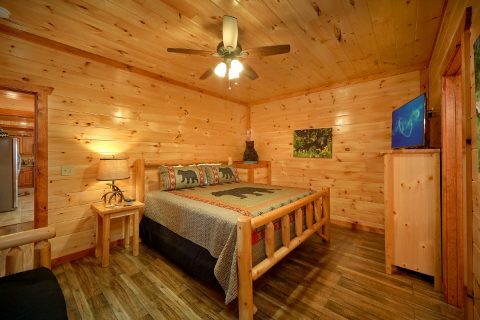 The main floor is home to 2 bedrooms and both of these rooms features an extra futon to accommodate extra guests. 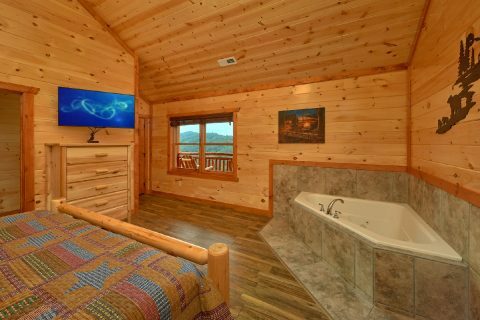 Upstairs, there are 4 more bedrooms and two of these rooms feature in-room jacuzzi tubs and another room provides a futon for extra guests. 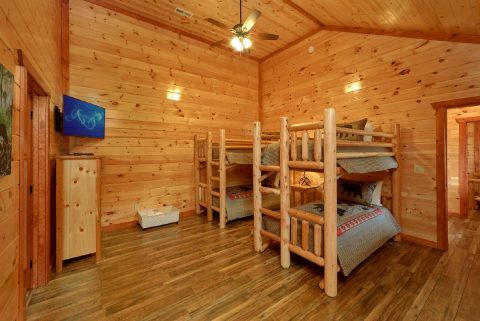 With 4 king beds, 1 queen bed, 2 sets of twin bunk beds, and 3 futons, "Majestic Splash" can easily sleep up to 17 vacationers with ease. 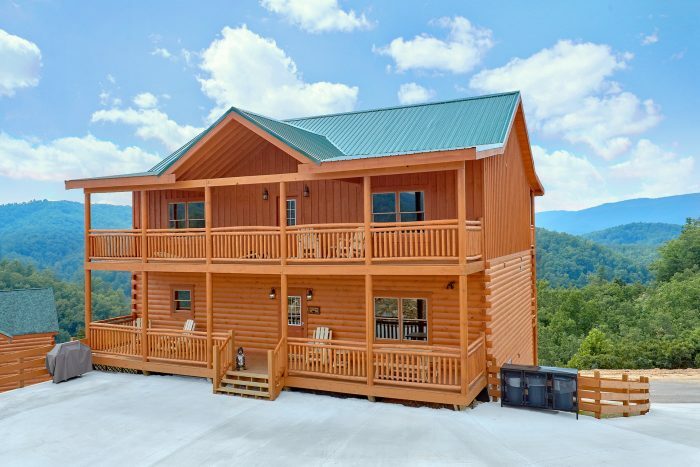 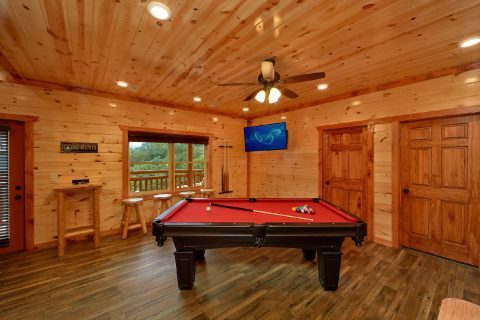 Book this premium cabin with an indoor pool, a game room, and a theater room in Pigeon Forge today with Cabins USA Gatlinburg and you'll save 15% on your nightly rate in the Smoky Mountains!